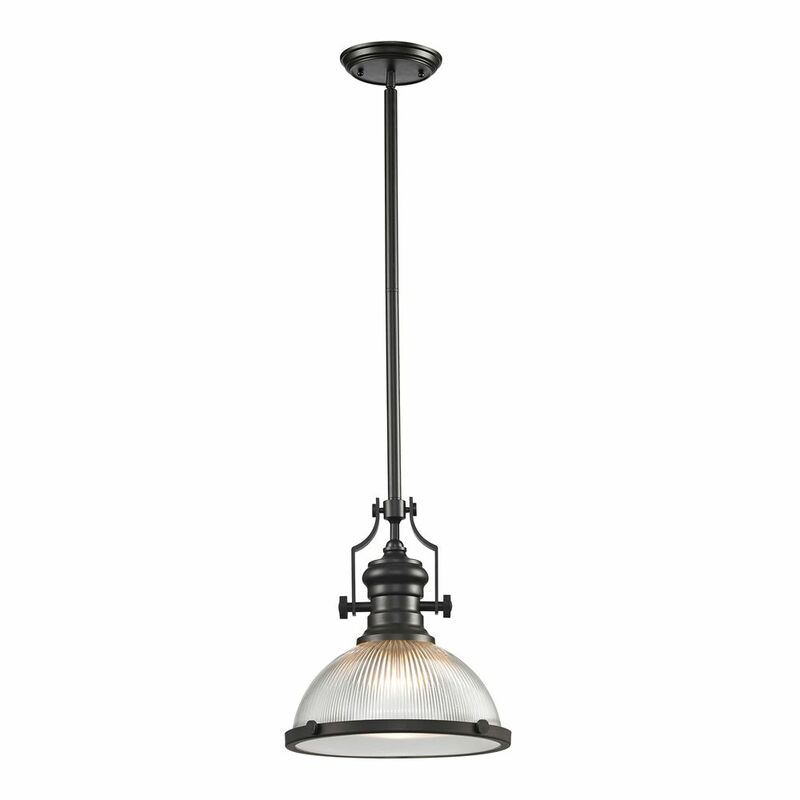 Chadwick Collection 1 Light Pendant In Oil Rubbed Bronze The Insulator Glass Collection Was Inspired By The Glass Relics That Adorned The Top Of Telegraph Lines At The Turn Of The 20Th Century. Acting As The Centerpiece Of This Series Is The Recognizable Shape Of The Glass Insulator, Made From Thick Clear Glass That Is Complimented By Solid Cast Hardware Designed With An Industrial Aesthetic. Finishes Include Polished Chrome, Oiled Bronze, And Weathered Zinc. Chadwick Collection 1 Light Pendant In Oil Rubbed Bronze is rated 5.0 out of 5 by 1. Rated 5 out of 5 by Anonymous from Perfect Fit I picked this hanging light to go over our kitchen table. We had just put in new granite counters and changed all the hardware in the house to the bronze oil rub. This light completes the country but simple modern look we want. The length is adjustable and has different pieces to adjust to your desired length.